Lilacs in bloom at the Patterson Garden Arboretum. Anyone who has been to the U of S knows that it is, indeed, a beautiful place to be. Now the Patterson Garden Arboretum, a short walk from the main U of S campus in Saskatoon, has been recognized by The Huffington Post Canada as one of the most beautiful public gardens in Canada. The Arboretum began as a trial site in the 1960s, testing the adaptability of various trees, shrubs and vines to prairie conditions. 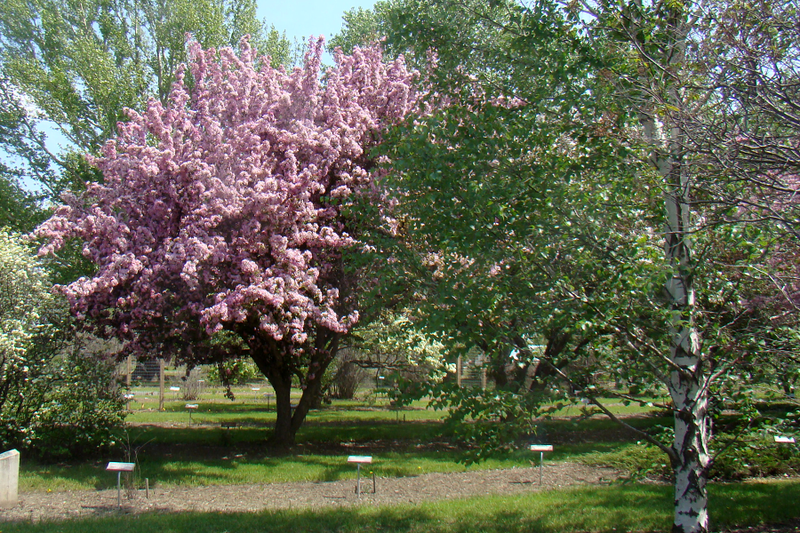 When that experiment ended in the year 2000, the arboretum remained a site of experimentation as new species are added annually while the original trees continue to mature. The garden is home to a wide variety of beautiful plants, flowers and trees, and is a destination for school field trips, horticulture classes, university students, Master Gardeners, arborists and gardeners. See more at The Huffington Post Canada.